The Ultra-Drain Guard is engineered to filter stormwater waste before it becomes a problem in the water system. As a storm drain filter, it removes contaminants like litter, sand, and oil from stormwater flow. 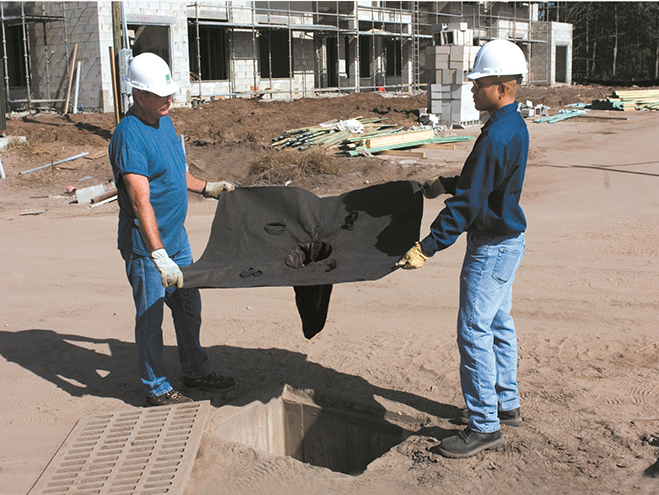 Its geotextile fabric and easy installation makes it ideal for industrial facilities, construction sites, and parking lots where stormwater runoff is likely to carry oil, eroded soil, debris, and fuel contaminants from cars. Oil & Sediment Model(Part # 9217/9356) – removes up to .87 gallons of hydrocarbons as well as dirt, sand and other contaminants. Oil & Sediment Plus Model(Part # 9219/9358) – the addition of Ultra-X-Tex filter strips increases oil and grease absorption by .51 gallons, offering a total capacity of 1.38 gallons of hydrocarbon removal. 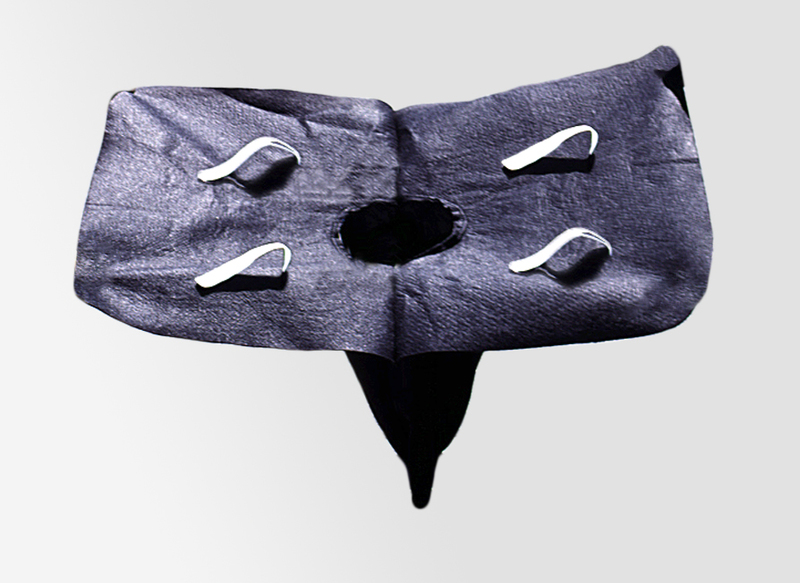 Trash & Debris Model(Part # 9227) – designed specifically to catch larger items and floatables like leaves, cigarette butts and paper goods.